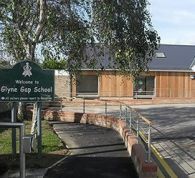 Glyne Gap is a school for pupils aged between 2-19 years of age with severe and profound learning disabilities. Many of our pupils have other additional needs including physical, medical, sensory and autistic spectrum condition. 63% of pupils are making outstanding progress. All pupils are making at least good progress. Glyne Gap School, School Place, Hastings Road, Bexhill on Sea, East Sussex, TN40 2PU. The whole school had our annual trip to the cinema this week to watch 'Tangled'. It was a great event and pupils enjoyed pop corn and drinks. Thank you to the De La Warr Pavillion for making our visit such an enjoyable and great learning experience for our pupils. You are your child's most important lifelong teacher. It's rewarding and challenging. Our Parent Cafés might help. Our next Parent Cafe will be held on 27th March and will focus on 'Systems' to support Receptive Language. Please click here for more information.